OK, Philly. Time to put your money where your mouth is. Last Friday, Mayor Jim Kenney’s office announced the Eagles’ Super Bowl parade cost $2.27 million in total. So, it’s time to pay up. The Eagles reportedly will cover the $273,000 in damages, leaving it up to taxpayers to cover $500,000. The city will pick up the $1.5 million difference. 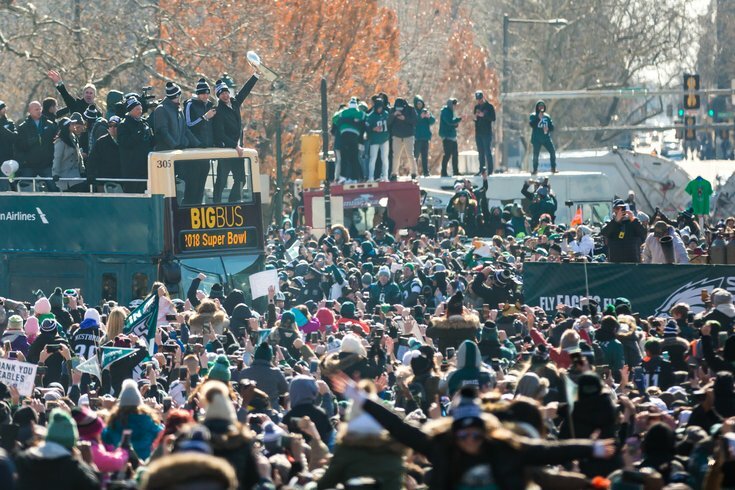 Kenney added that the funds brought in from the playoff home games at the Linc totaled $2.3 million, and would help offset the bill on the parade. He called the Super Bowl celebration a “nearly flawless celebration,” regardless of the flack the city garnered nationwide for living up to its rowdy, good-for-nothing, underdog reputation. The other Philadelphia event that compares to the revelry was the 2008 Phillies World Series parade, which cost taxpayers more than $1 million, according to the Inquirer.